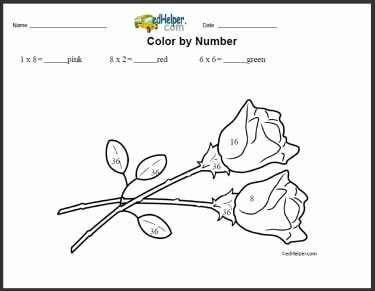 Multiplication facts will be a breeze when combined with fun coloring sheets that will fascinate students. These creative worksheets will help students hone the important skill of multiplication that is necessary for future math mastery. Students will love finishing a colorful piece of art while effortlessly polishing their multiplication skills.